Who gave you the best gift you ever received? What gift is most likely to make you smile? And, what presents do Americans send right back to the store? A recent nationwide survey provides insight into our favorite gifts, givers and thank you etiquette in this high-tech age. 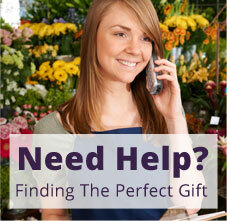 According to the survey, flowers, clothing and jewelry are the most popular gifts exchanged in America. Flowers top the lists of both men and women as the best "I love you" gift. Clothing is ranked the most convenient to give, and jewelry makes us smile. "Our favorite gifts are the ones that allow us to express emotion and make us feel special," said noted gift expert and author of The Perfect Present, Robyn Spizman. "They are personal expressions of our feelings for each other." When asked which gifts make us feel most special, respondents name jewelry (26%) and flowers (23%). 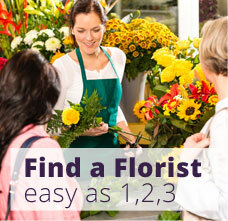 Fifty-eight percent of Americans say they gave flowers at least once in the past year. This resulted in millions of smiles, many of which came from men, as one out of three women gave flowers to men. 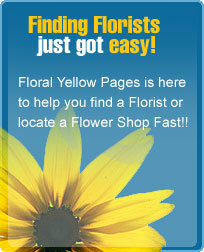 "Not surprisingly, the top reason women and men like to receive flowers is love," said Spizman. Respondents also note friendship, thank you, and anniversaries. "Flowers are always a thoughtful choice," added Spizman. Men who forget their anniversaries reach for the phone to call their florist, as flowers were named the most popular gift to get out of the doghouse. Clothing is the gift Americans give most often, but by the same fashion, clothes are also the gift most often returned, according to respondents. In keeping with our romantic feelings about gifts, an overwhelming majority of Americans surveyed cited their spouse or significant other as the person who gave them the best gift they ever received. Mothers rank a distant second, followed by other relatives. As for love interests, according to the research, more than 25 percent of Americans say the gift they would most like to receive from an admirer is flowers or houseplants - followed by jewelry, clothing and perfume or cologne. In the office, 36 percent of those receiving gifts from business associates would most appreciate tickets to a sporting or entertainment event, while 23 percent prefer flowers. While most Americans enjoy receiving gifts on traditional holidays, "no special occasion" tops the list with nearly one-third of respondents citing it as their favorite time to receive a gift of flowers. Flowers also lead the bunch as the gift most given to express everyday sentiments. Approximately 25 percent of Americans admit to re-wrapping gifts and giving them to others. Women are more likely to re-gift than men and are also more likely to expect a thank you from a gift recipient. When it comes to gratitude, according to the survey, over one-half of Americans do not expect a thank you for a gift. While women are more likely to anticipate a sign of appreciation, both men and women agree that an in-person thank you and a handwritten note are the most acceptable ways of expressing gratitude for a gift. Most also agree that a phone call is acceptable; however, when it comes to high-tech modes of communication such as e-mail and voicemail, agreement significantly drops. A faxed note is the least acceptable method of saying thank you. "As times and technology change, it's still the personal touches that are most meaningful," added Spizman. "Make every gift count." The results below offer trends on everyday gift giving. Percentages tally the top answers by both men and women, unless otherwise noted. The survey was an independent survey conducted by International Communications Research for the Society of American Florists in January 2000. Q: Which is the best "I love you" gift? Americans consider flowers to be the best gift to express love. Q: Which is the gift most likely to make you smile? en and women are divided between which gift is likely to make them smile. Men are more likely to select tickets; women are more likely to choose jewelry or flowers. Q: Which gift would you give to say "I'm Sorry"? 60% of men and 41% of women say they would give flowers to get out of the doghouse. Q: Which gift would make you feel most special? Q: Which gift do you give most often? Clothing is given most frequently and is the gift most often returned (65%). Q: What is your favorite occasion to receive flowers? en are just as likely as women to want flowers for no special occasion. Q: What gift are you most likely to give for no special occasion? Q: What is your favorite reason to receive flowers? Q: How many times in the last year have you given someone flowers? Women are giving flowers to men. Q: Who gave you the best gift you ever received? Q: Which gift would you most like to receive from a business associate? Q: Which gift would you most like to receive from an admirer? Women vote flowers and houseplants number one, while the top answer of men is clothing. Q: Have you ever re-wrapped a gift and given it to someone else? Women are twice as likely than men to re-wrap a gift they don't like. 1 out of 4 Americans have re-wrapped a gift. Q: Do you expect a thank you when you give a gift? Women are more likely to expect a thank you than men. Over half (52%) of Americans do not expect a thank you. Q: What are the most acceptable ways of thanking someone for a gift? Personal modes of communication are the most acceptable ways to thank someone for a gift.